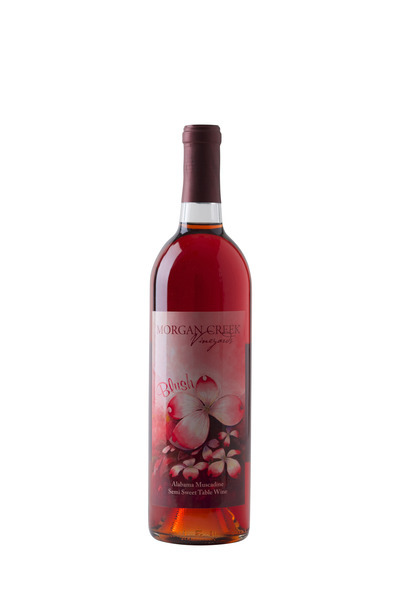 A semi sweet wine that is a blend of muscadines. 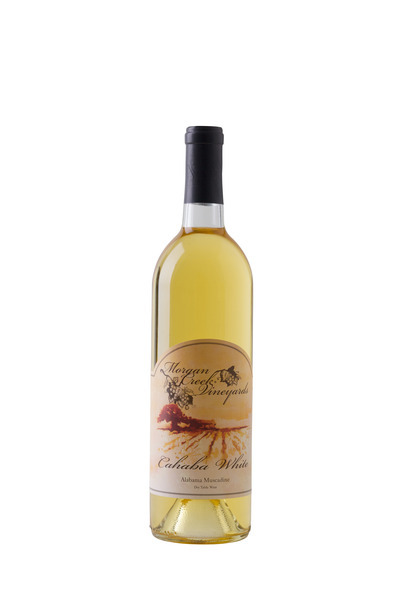 This aromatic muscadine is very smooth with an almost silky texture and spicy nose. Wine has nectar sweetness with pear nectar. Finishes nicely with a creamy mouthfeel. More body than typical blush wines. An off-dry red with local flavor. 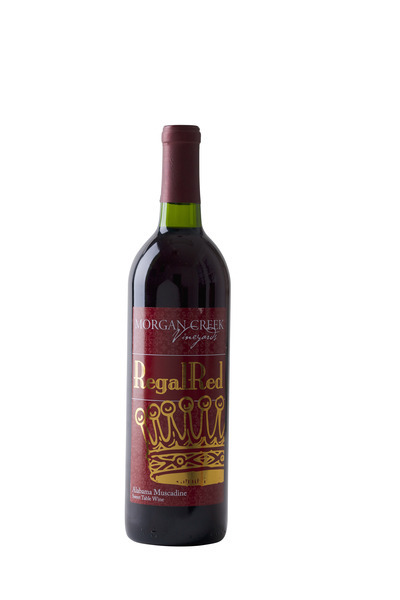 Bursting with flavors of mocha and cherry, Morgan Creek's Red Mountain Red is a rich, full-bodied, semi sweet wine with deep ruy color. 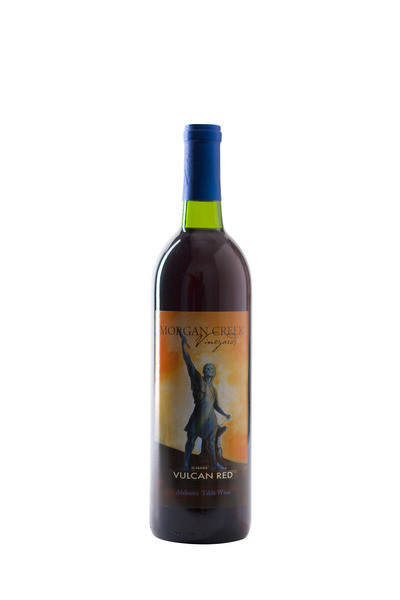 This semi sweet wine is very tasty alone and perfectly complements a decadent chocolate dessert. 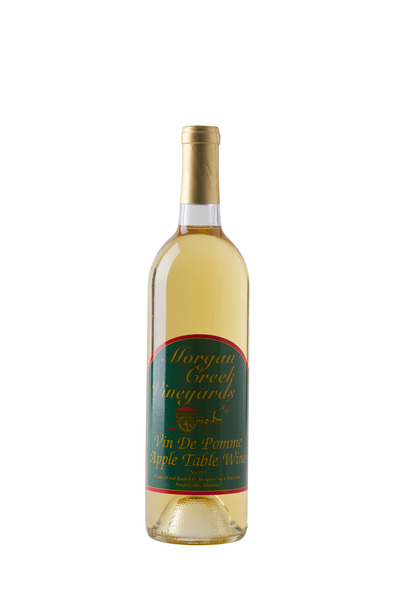 Classified as off-dry, this is a sweet and aromatic wine that tastes lightly of honey with flavors of peach nectar, beeswax and a hint of nutmeg. 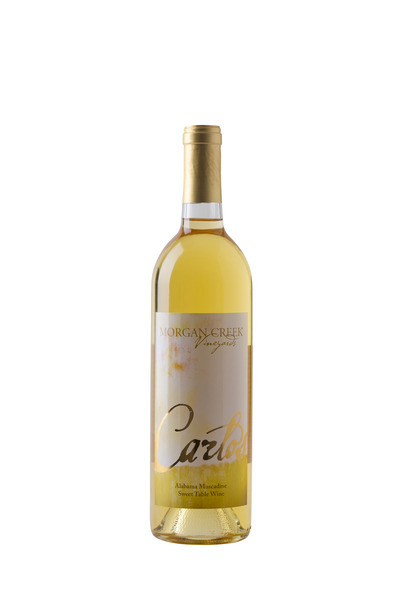 Vinted from the Carlos variety of muscadine, this wine is best served chilled. 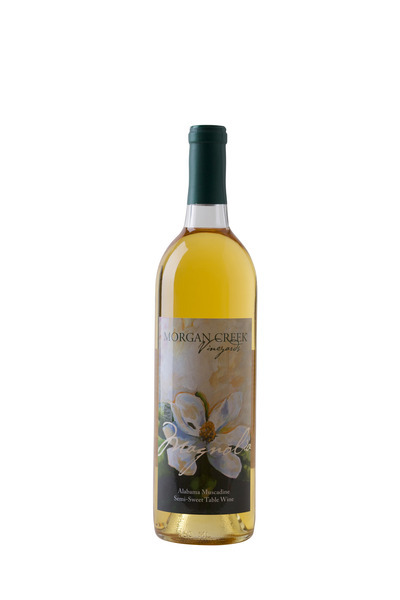 A light and fresh muscadine wine with lingering sweet fruit and white blossom. The nectary sweetness lingers with enough acidity to balance the taste. 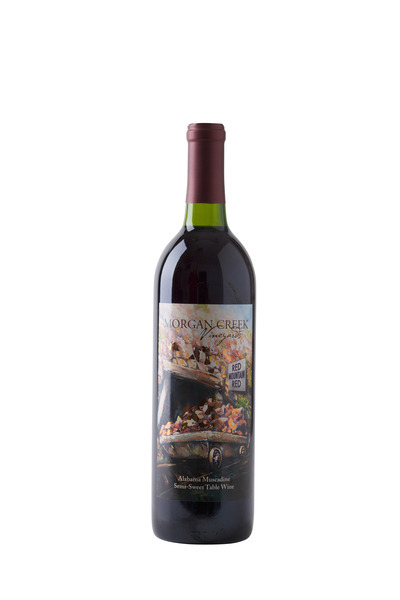 A sweet muscadine wine with an aromatic cherry nose and candied fruits. Round with fruitcake, spice notes and a touch of floral roses. Dessert style wine made from freshest local blueberries. Garnet in color, refreshingly smooth with a rush of flavor. Bursting aromas of tree-ripened peaches and a soft nectary finish. 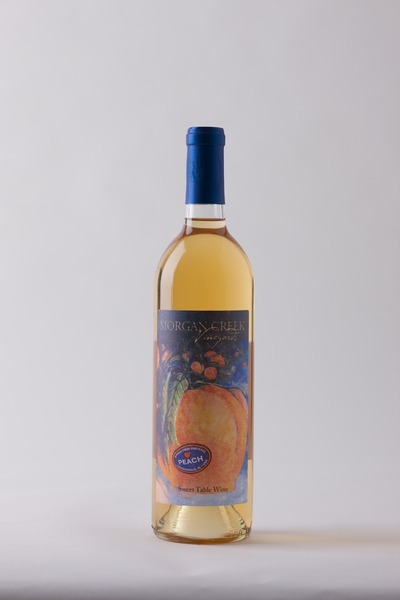 We work with local growers to ensure that only the best Alabama peaches, picked at the peak of flavor, are used in making this delectable wine. Try it with cobbler, homemade vanilla ice cream, or by itself to take trip to the orchard anytime.